This workshop will be run when there is sufficient interest. Please fill out our expression of interest form to let us know you’re interested. 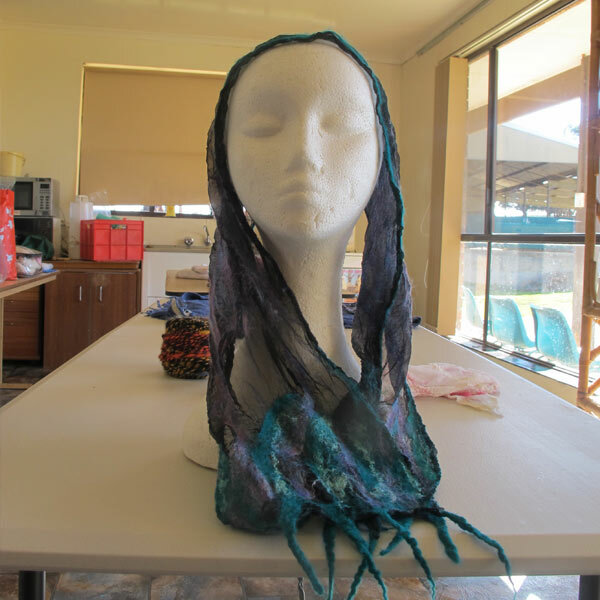 In order to do this class you must have completed the Introductory Felting Class. The term “Nuno” refers to fine felt applied to a fine knitted or woven fabric – usually silk, cotton or wool. 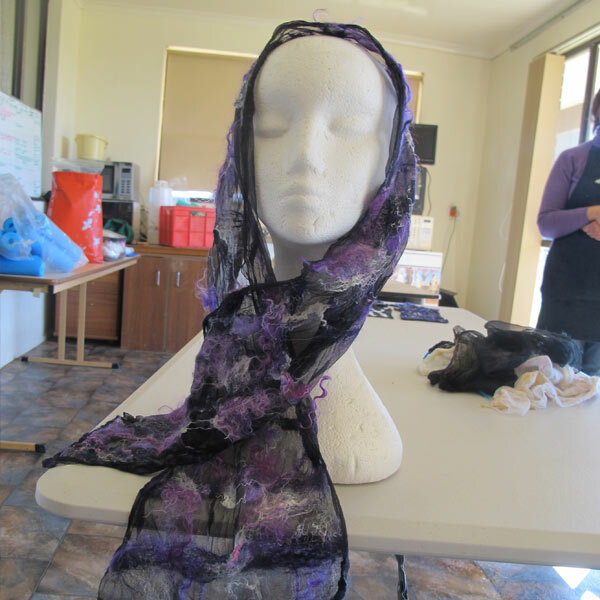 Nuno is often used to produce beautiful scarves and wraps but its possibilities are many. We will discuss possible designs for the Nuno project in previous workshops.